In November 2016, a rock fall from the cliffs at Tolcarne near Newquay, fell onto the beach access road. The access road was closed for public safety. 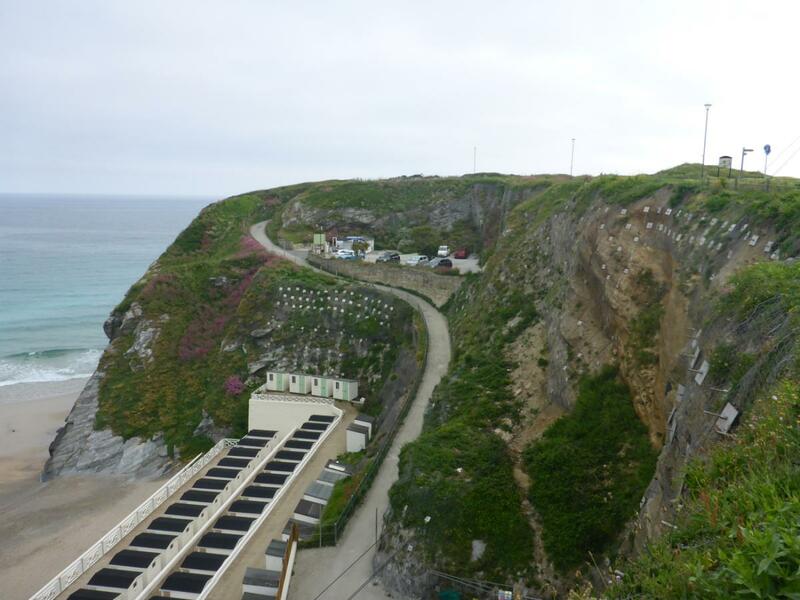 JGP were engaged by Cormac to undertake the stabilisation design to secure the cliff before it could be reopened. The stabilisation works comprised the drilling of both soil nails and rock anchors. These secure the cliff face and also hold rockfall netting in place, which catch smaller pieces of rock that fret from the face. Maccaferri‘s Steelgrid® HR high strength polymeric mesh coated rockfall system netting was used. JGP carried out supervisory site visits fortnightly during construction works. Phase one of the work was completed in July 2017 and stabilised the two priority sections of the cliff adjacent to the access road. Phase two, which involved stabilisation of other areas of the cliff face, is now completed.